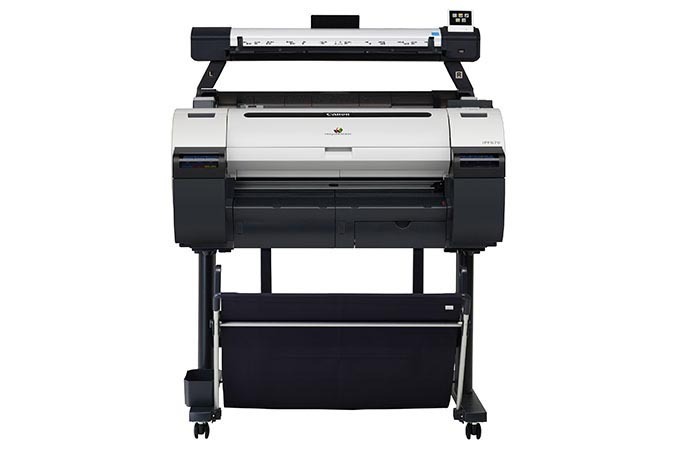 The Canon imagePROGRAF iPF670 MFP L24ei large format imaging system is an affordable scan-to-copy/file system for low volume and entry-level users. With a 24 inch scanner, this MFP is designed for architects, engineers, consulting firms, small offices and K-12 schools that require a minimal learning curve when it comes to new equipment. Suitable for K-12 schools, this low cost model makes it possible for schools to purchase an MFP that was once at a higher price point. Schools can now create and print professional posters quickly and easily at a fraction of what it would cost to outsource. capable of producing an A1 (23.4” x 33.1”) print in up to 28 seconds4 using Economy Mode! included Sub-Ink Tank system allows you to use all of the ink in the tank before replacing it, as well as replacing the ink tanks on-the-fly without stopping a job mid-print and sacrificing print quality.